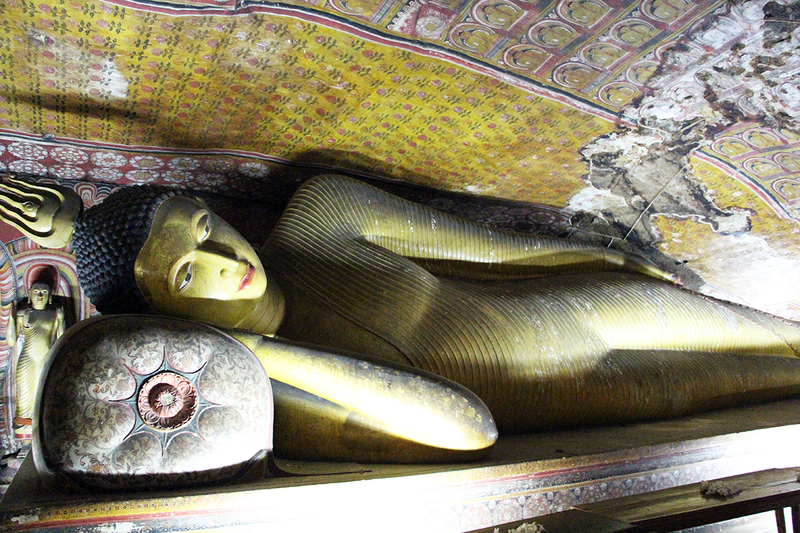 Home » Blog feature » Interior of Buddhist cave temple at Dambulla, SriLanka dating from 1st century BC. Interior of Buddhist cave temple at Dambulla, SriLanka dating from 1st century BC. Love the light on buddha’s face…in more ways than one! Great shot! What a remarkable experience it must have been to travel to this far away land…exquisite images of such historic significance. Buddha is the symbol of peace. Everyone can be buddha but he has to go through according to his own voice, because if he listens to others and acts on it, his inner voice is somewhere drowned. It’s difficult to attain light but if we keep on struggling for it, we receive it one day. We don’t need to leave our home to be buddha. Buddha already lies within but we have to bring it out by deep meditation and realization…Buddha went beyond duality to attain enlightment, he finally attained it. I really love this quote by buddha.